I saw in your homeschooling resources pages that you were looking for books on homeschoolers. Well, I am a homeschooling mother of 3 who recently authored a book about a homeschooling family. 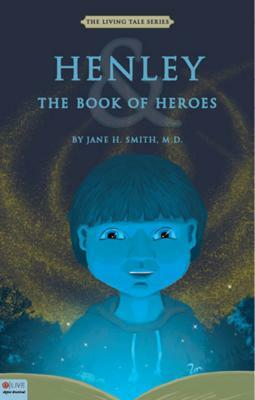 It is called The Living Tale Series: Henley and the Book of Heroes and is the first in the series. "A hero needs a heart so he can do extraordinary things. Remember, Henley, every good story needs a hero…and a hero needs a heart." Nine-year-old Henley Banks dreams of being a hero, but it’s not until he receives a mysterious book from his grandpa that his hero’s heart is awakened. As Henley dives—literally—into the Living Tale, he discovers a world beyond anything he ever imagined—full of amazing lands, an unexpected gardener, powerful glones, and an evil that lurks behind Henley’s every step. You can read a preview at TheLivingTale.com. I sure would appreciate it if you would include it in your list and tell your members about it. Join in and write your own page! It's easy to do. How? Simply click here to return to Finding Homeschool Resources.